Be the first to hear about their new releases and deals. Download the Booksprout app and search for Elena Aitken today! 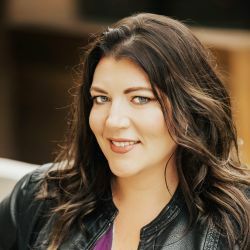 Elena Aitken is a USA Today Bestselling Author of more than forty romance and women’s fiction novels. Living a stone’s throw from the Rocky Mountains with her teenager twins, their two cats and a goofy rescue dog, Elena escapes into the mountains whenever life allows. She can often be found with her toes in the lake and a glass of wine in her hand, dreaming up her next book and working on her own happily ever after with her very own mountain man.